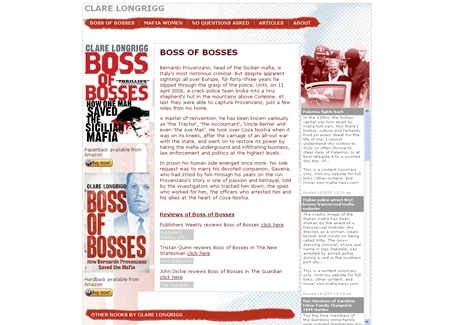 Design and implement a website to promote the Boss of Bosses book along with the authors other publications. The site should have a design in keeping with the feel of the book and use good SEO to attract visitors. An imported rss feed from another mafia news site is used to keep the content on the pages constantly updated.